The Institute began the “Juvenile Justice Project” (JJP) in November of 2009, through a grant from the Texas Bar Foundation, to address the rising number of student ticket cases faced by students accused of school misconduct. The project’s original purpose was to provide direct legal representation to students in sealing or expunging criminal records, school disciplinary meetings or special education proceedings and Class C Misdemeanor cases, including truancy, pending in Justice and Municipal Courts in Texas. These cases generally involve in-school behaviors that have been criminalized rather than handled by schools as student code of conduct violations. 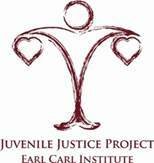 The current Earl Carl Institute’s Juvenile Justice Project addresses the issue of disproportionate minority contact (DMC), through a holistic approach, by providing legal representation to children who are in multiple systems including the criminal justice system, disparate educational systems, the mental health system and foster care system. The Institute provides FREE legal representation to students seeking to have their criminal records sealed, students in school disciplinary and special education hearings, cases pending in Justice of the Peace and Municipal Courts and the Juvenile Delinquency courts in Harris County, and its surrounding counties. Disproportionate Minority Contact, also known as DMC, occurs when there is a disproportionate number of minority youth who come into contact with the juvenile system; typically in the justice, child welfare, healthcare, and educational systems. The DOJ Office of Juvenile Justice and Delinquency Prevention has made elimination of DMC a priority. In Texas, Senate Bill 501 (82nd Texas Legislative Session) was enacted in May 2011 to address the disproportionality of certain groups in these various juvenile systema. Compared to Anglo youth, African American youth are 2.78 times and Hispanic youth are 1.56 times more likely to be referred to juvenile justice. Child abuse and neglect reports are higher for African youth than they are for Anglo or Hispanic youth. For example, in 2009 while 16 percent of all the children in Houston were black, approximately 57 percent of children in the Houston foster care system were black. There is a disproportionate issuance of school disciplinary referrals and tickets to minority and special education students; some schools issuing twice the number of tickets as their population in the school. Our geographic service area is generally Harris County and its contiguous counties (Brazoria, Galveston, Chambers, Liberty, Montgomery, Fort Bend, & Waller). Intakes are conducted Monday through Friday from 9:00 a.m. to 5:00 p.m. IF YOUR CHILD NEEDS ASSISTANCE PLEASE CONTACT US AT (713) 313-1130.